Before reaching a new destination, I always take a quick peek - "Where did Anthony Bourdain eat?" I've found that his dining experiences vary between extreme local and well established places without too much in between, however, his recommendations always highlight a region's cuisines. 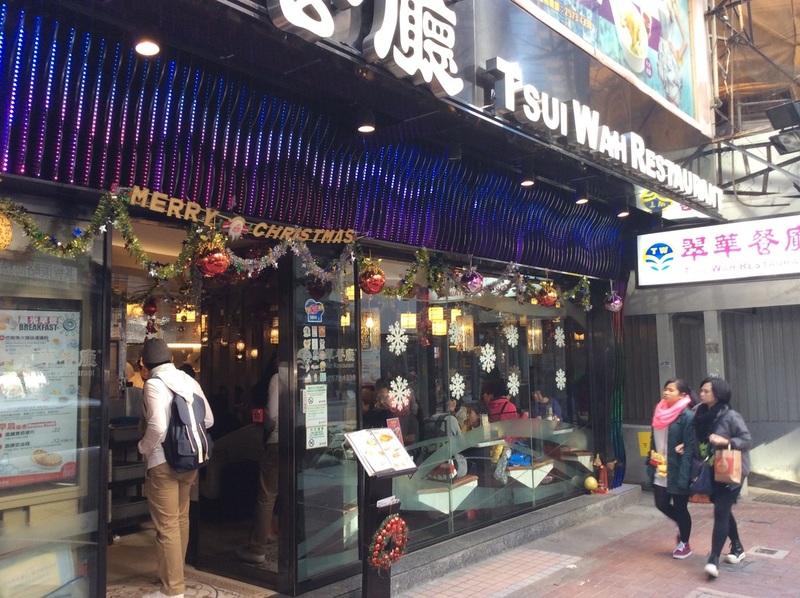 When he visits Hong Kong, a place he describes as "a wonderland of colors, lights and speed, a perfect marriage of modern and traditional", he dines at well established restaurants (particularly in The Layover episode) across some of the major dining "themes" of Hong Kong: seafood, dim sum, noodles, roast meats, and cooked food centres. He seems to pick a cross section of "Top Five" restaurants across these cuisines. I've eaten at many of the "Best of..." seafood, dim sum, noodles, etc. and you can't go wrong with any of the places that make these lists. Ping Kee is a bit off the beaten path deep into the New Territories area, although it's easily reachable via the MTR. Come here for a whole other side of Hong Kong away from the bright lights. 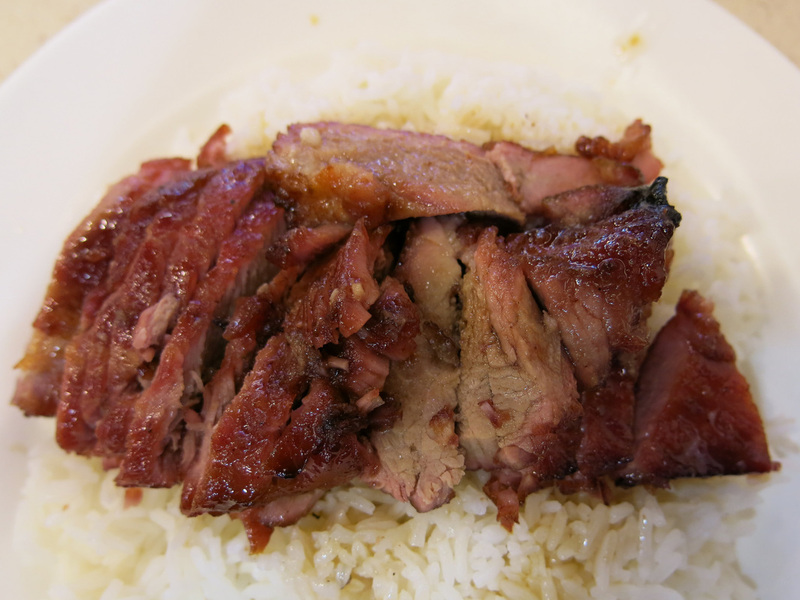 Ping Kee may be one of the best places Bourdain has ever visited. Prior to visiting this restaurant, the No Reservations camera crew filmed at the chef's apartment to watch him prepare the noodles from scratch. The scene of the old man bouncing on a bamboo stick to mix the ingredients and spread the noodles flat isn't just one of the best No Reservations clips but just a great filming regardless, that captures an amazing cultural moment that may soon be lost to modernization. 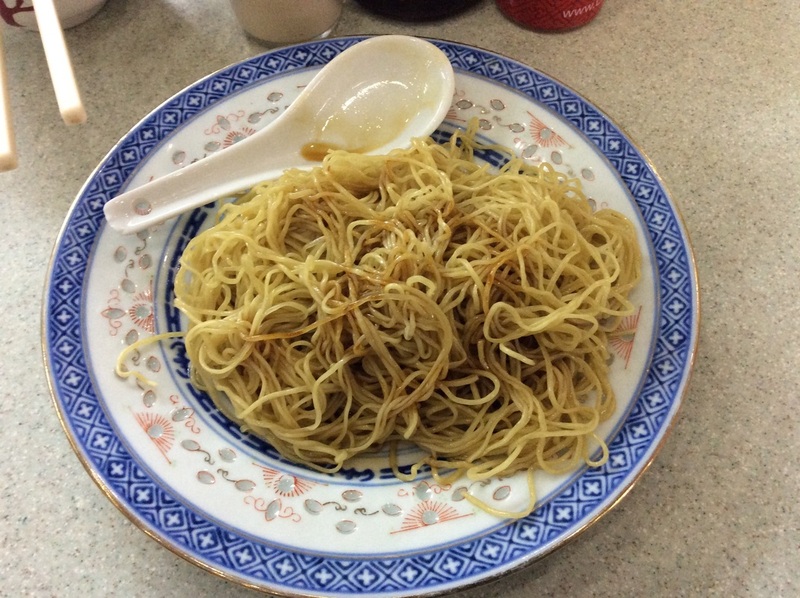 The restaurant is located in the Tai Po Cooked Food Centre, which is about an hour away from the Hong Kong / Kowloon area. 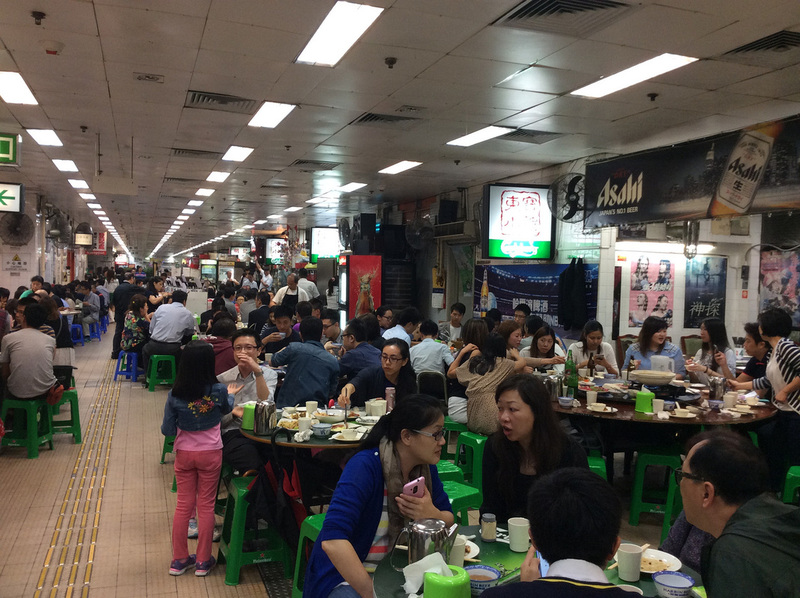 From the Tai Po Eastern Line Railway Station the cooked food centre is a ten minute walk away. The stall is 12C, on the far side of the second floor - the guy should be there. That said...I'm not 100% sure of the opening hours, however, it is closed for dinner. The best option would be to visit for a weekend lunch. When you are here, obviously order the lo mien. The dish costs only $23HKD. 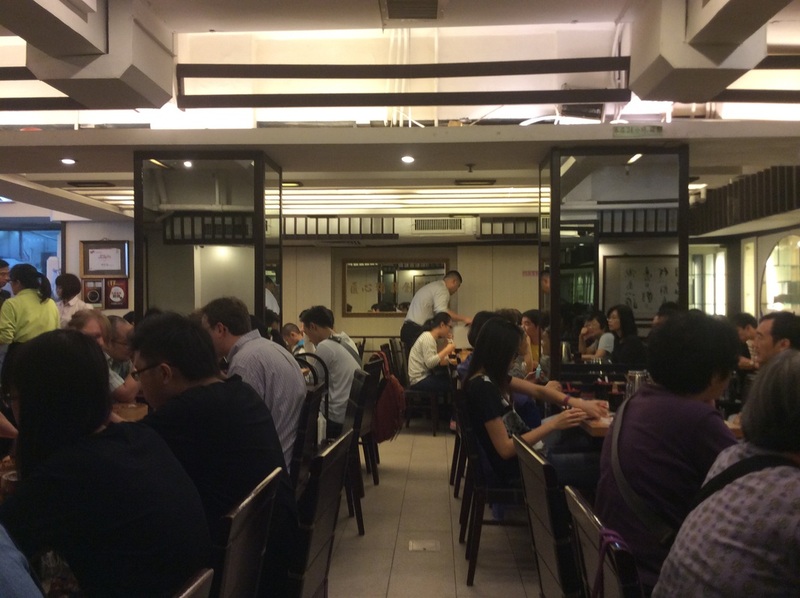 Lam Kee is a highly rated dim sum restaurant in nearby Stall 8. Get the noodles. Get some dim sum. Walk around the wet market downstairs afterwards. Given the time involved in reaching this location I'd at least combine a walk through Tai Po's market street across from the cooked food centre. This street leads to an open courtyard and Yat Lok, another Anthony Bourdain restaurant (and I believe Michelin rated). If you are looking to make more out your visit rather than simply dining I'd combine the visit with a longer afternoon walk through Sha Tin or Fanling. This restaurant is right on the main public square in Tai Po. It's less than a five minute walk from the Cooked Food Centre where Ping Kee Noodles has a stall. 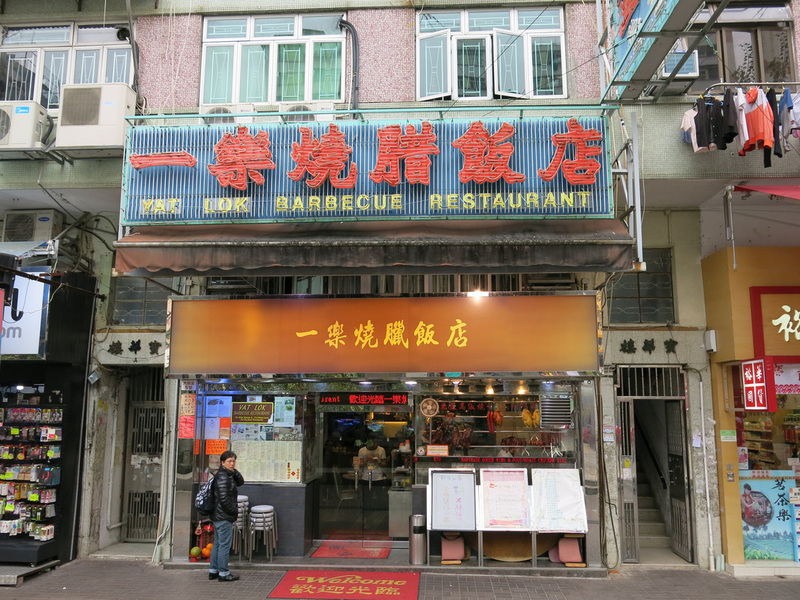 There is also a location in Central, however, Bourdain filmed at the Tai Po restaurant. The roast pork and goose rendered Bourdain speechless. I thought it was decent, a little bit too dry. I went slightly after the lunch rush. It's not as good as Joy Hing, a place Bourdain visited in The Layover (see below). I was too full from an earlier meal of noodles and dim sum and regret not ordering the goose - it looked spectacular. 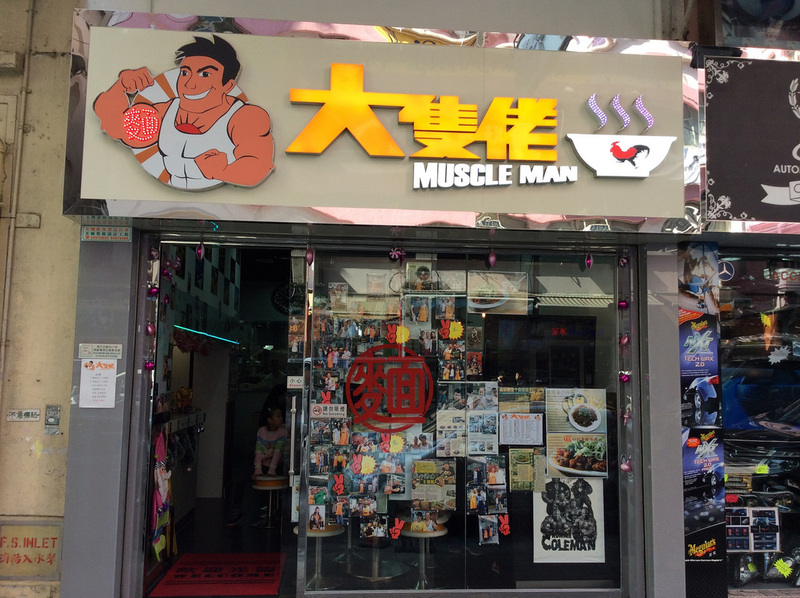 NOTE: Some forums list the "Muscle Man" noodle place Bourdain visited as Lung Kee Wanton, another popular noodle restaurant, however, I am 99.99% sure Long Kee noodle is the correct place because the guy in all the photos looks similar to the guy that appeared in the television episode. The restaurant does not look the same - either it's been remodeled or Bourdain filmed at an alternate location - I'm guessing the latter. 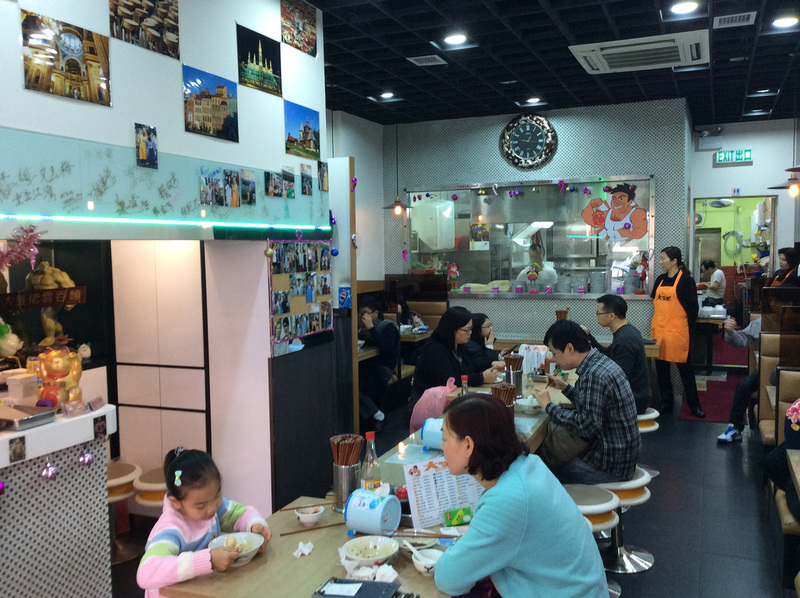 No frills noodle shop with an English menu - prices range from $30HKD for a bowl to $38HKD for plate. I ordered the wantons and a plate of noodles. Solid wantons and the accompany noodles tasted very similar to the Ping Kee Noodles and also had a similar strong texture. It's an interesting environment with musclemen plastered on the walls and celebs taking a photo with the chef before they leave. 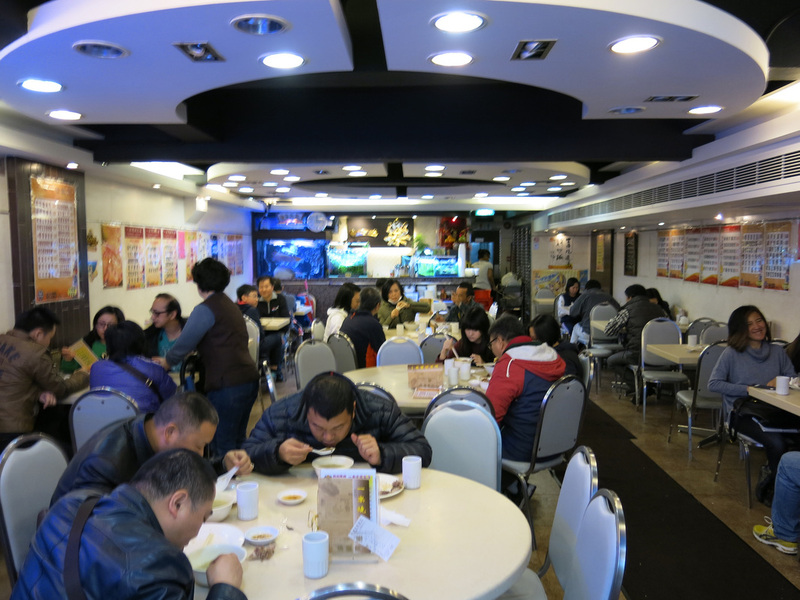 The restaurant is located two blocks east of the Mong Kok Ladies Market making it convenient to combine a few of the Mong Kok's sites before or after lunch. It has a long but fast moving line, that moves faster if you are dining solo. There's duc or pork or if you're indecisive go half and half. The huge chunks of meat easily separates from the bone. At $66HKD good value lunch in Wan Chai. 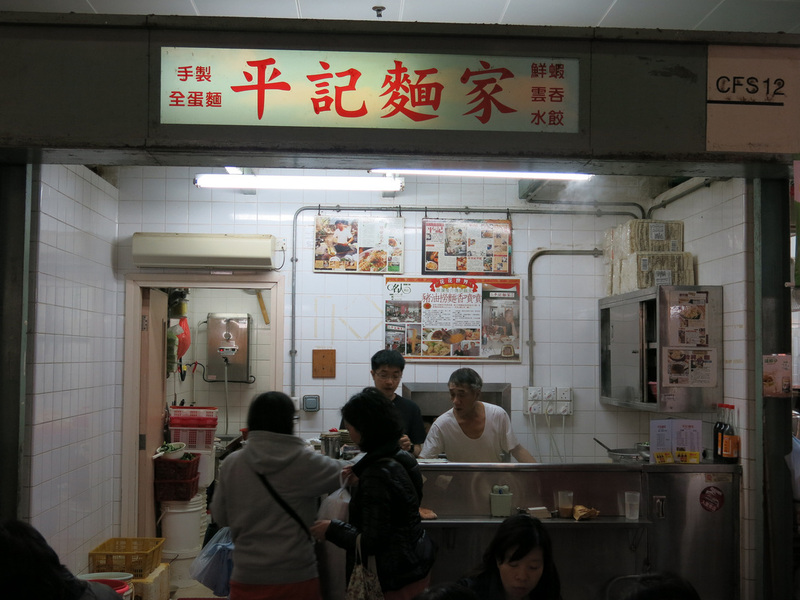 This is one of the last traditional Dai Pai dongs, Hong Kong street food stalls that hasn't moved into a cooked food centre. 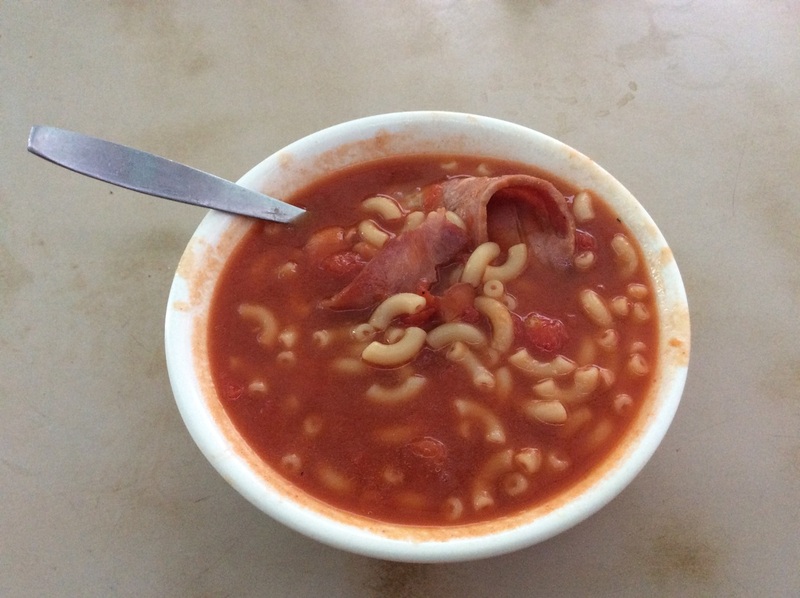 It's a prettylight menu...select a noodle (macaroni), select a stock (tomato), then add from a wide range of meats, eggs, etc. 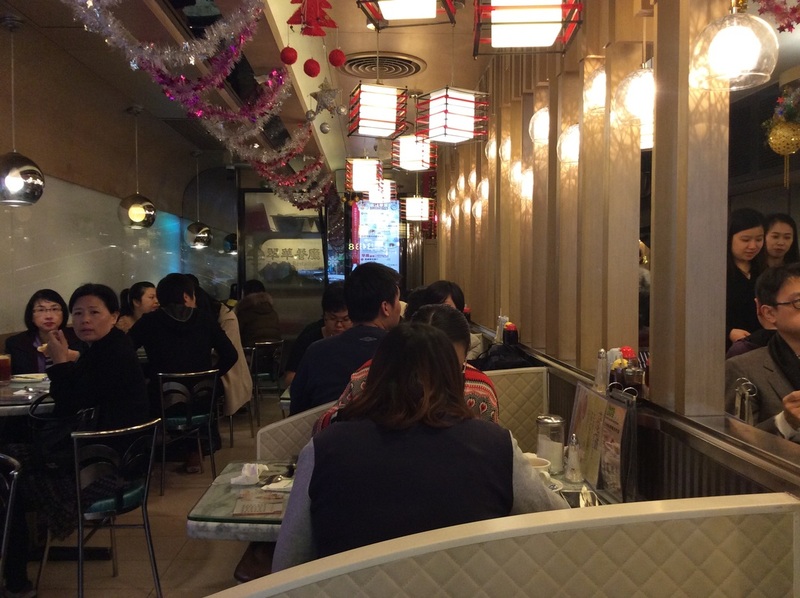 This is one of the last old school dining environments where the waitstaff pushes around a dim sum cart. It's not quite the free for all you see on TV, at least when I've dined, but you do need to be aggressive when trying to get a popular dish. A bit expensive for dim sum. From here you can continue through Sheung Wan to Mid Levels and Central - that's a pretty good introductory morning / early afternoon to Hong Kong. On a weekday this area is hopping with business persons and shoppers. There are lots of cafes and coffee houses you can drop in for a break from all the walking. Tung Po is one of three night restaurants in the Java Road Cooked Food Centre - It's in the center of the other two at the top of the central escalators - right off exit A1 of the North Point MTR Station. Tung Po has the Wellington boot wearing chef that Bourdain interacts with - he's usually bouncing around somewhere interacting with customers. 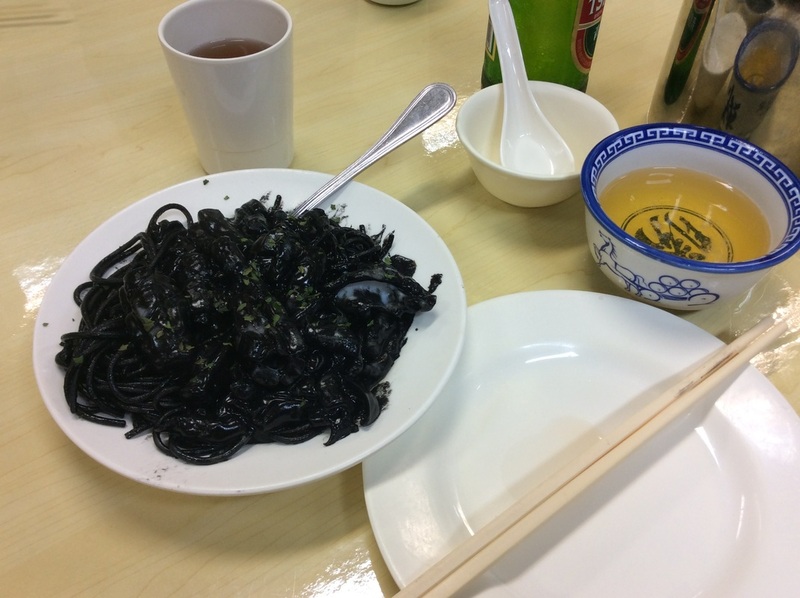 ﻿Tung Po has a varied and deep menu - much more than other Cooked Food Centres - Bourdain eats squid ink pasta, a menu item you will not find at any other Centre. The quality is better, however, the prices are higher, but and this is a BIG but, Tung Po still represents a good value in high priced Hong Kong. Great food. A unique place - the centre is far from upscale (which is a positive) and it retains the authentic gritty and boisterous Cooked Food Centre vibe. Tung Po "checks a lot boxes". 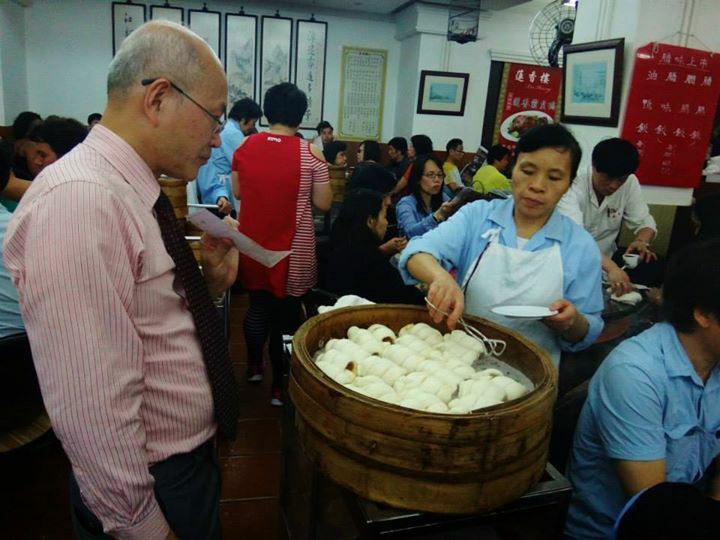 ​This may be Hong Kong's most popular dim sum restaurant. 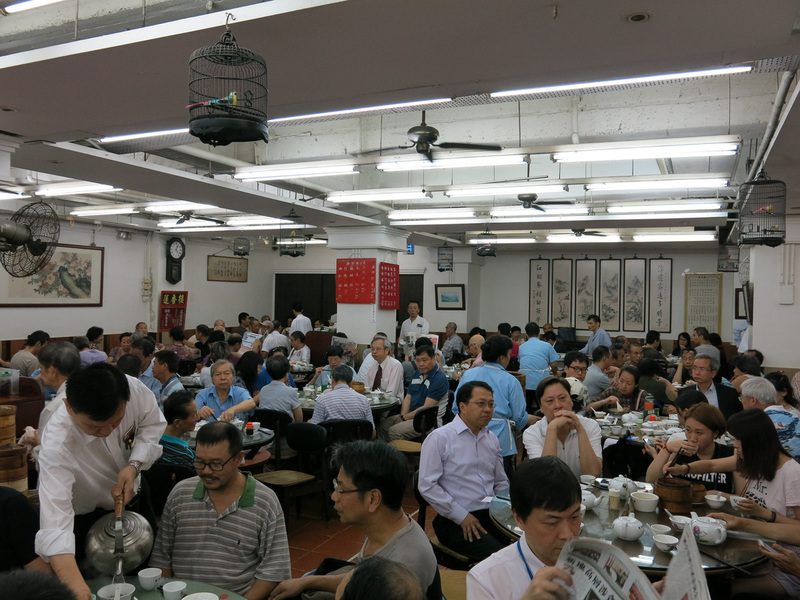 It's low prices (a "meal" costs ~$100HKD) and good quality (it has a Michelin star) attract a strong following. 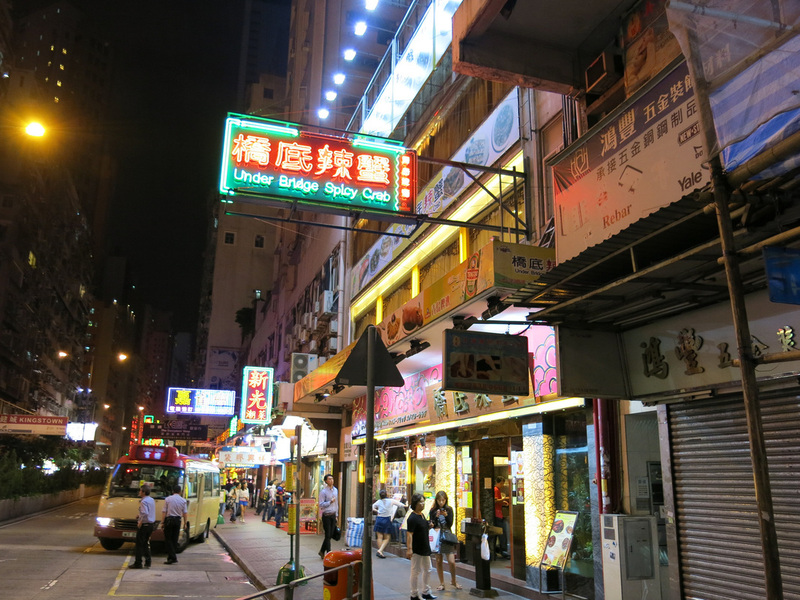 The original location is north of Mong Kok. It may have an hour wait...and it's not worth the wait. The "Denny's" of Hong Kong (that is a compliment) with over 30 locations chances are high there is one near you. 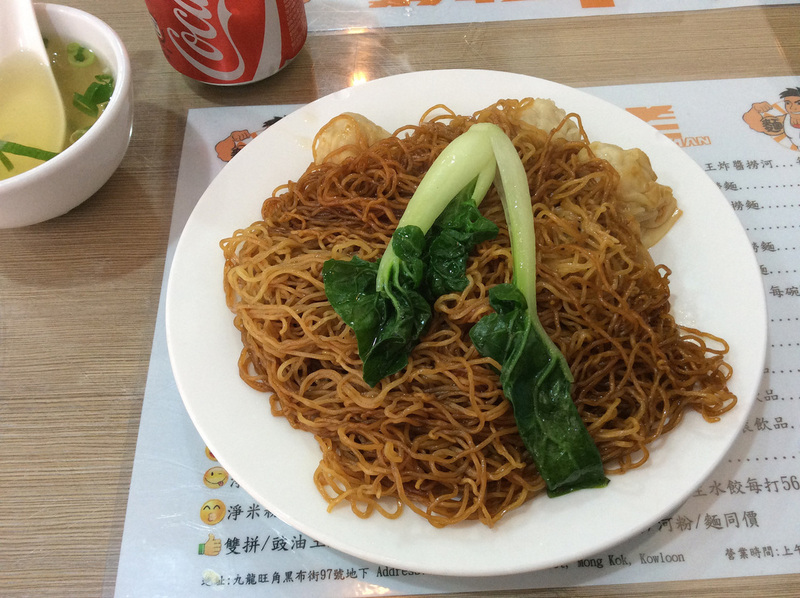 Hong Kong diners are a must do experience and fortunately Tsui Wah serves breakfast - great value for a noodle main, eggs, and coffee for under $35HKD. This place is good but expensive, the signature dish, Typhoon Shelter Crab can run up to $500HKD depending on the seasons, weight of the crab, etc. It's a better value if you come as a group of at least with one other person. 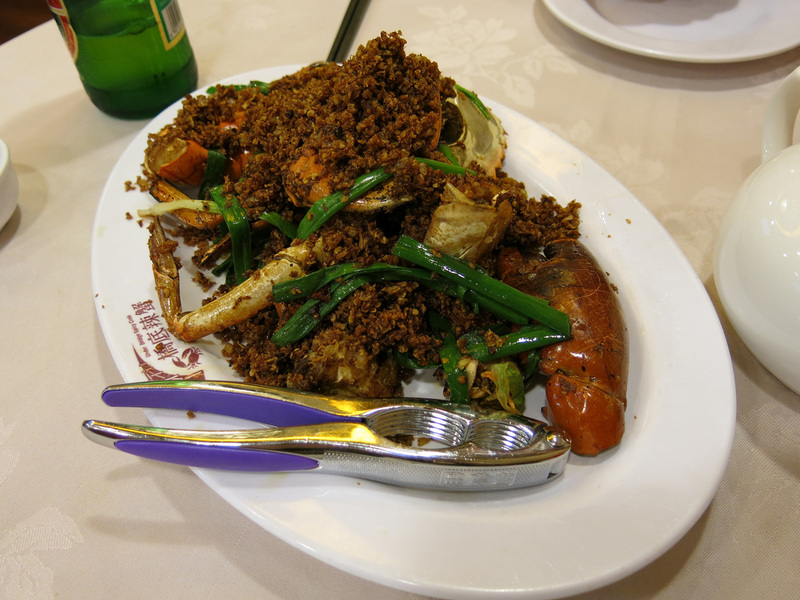 Typhoon Shelter Crab is Hong Kong's equivalent to Singapore's Chili Crab. 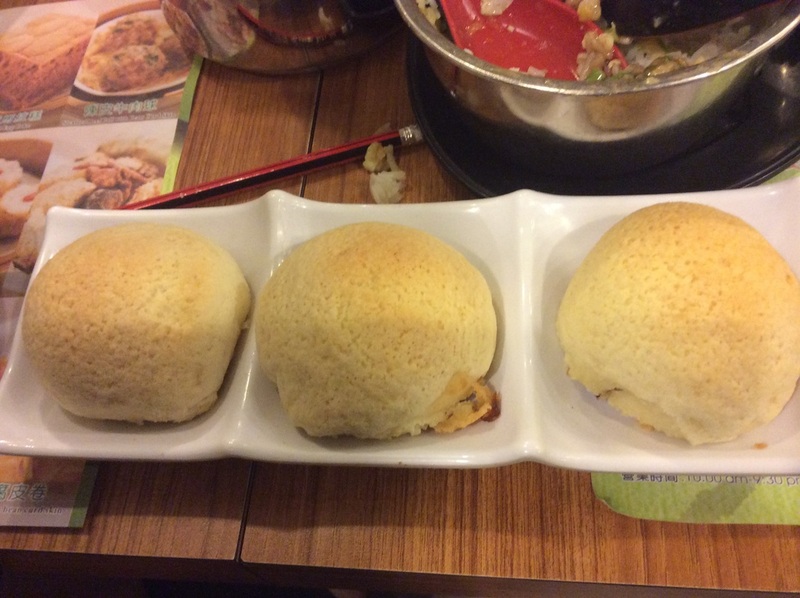 The Hong Kong version is not as distinct in terms of the seasoning but tastes just as good and doesn't feel as heavy in your stomach unless you overeat. I quasi recommend this place with two caveats: first if you are in Hong Kong in the fall you may want to consider a hairy crab restaurant and second if you plan to visit an outer island or a seafood oriented cooked food centre like Mui Wo the better value and equally delicious meal is a salt and pepper crab (very similar to the Cambodian dish). The salt and pepper dish uses smaller crabs, so less meat, but I thought the meat was sweeter and the seasoning a better compliment. Priced around $150 HKD two crabs are a better value for solo and budget traveler. Bourdain did not dine at the actual restaurant but instead had a chef from the restaurant prepare the meal on a boat...it is possible to dine on a boat like Bourdain, however, I believe the prices are about $2,000HKD and you need a minimum of six people. Under Bridge Spicy Crab has a decent environment, although it's not as good as Mui Wo. This is a no frills place...which is its biggest attraction - it's quiet, low key, and it has an amazing view - way too few of these places in Hong Kong. A beer costs $30HKD - if you don't have a great skyline view from your seat simply stand up and walk around. The cafe is above Pier 3 so if you are coming back from Discovery Bay just head to the top deck - it's a short walk from all the other Central Piers. Alternatively you could head to the rooftop deck at the IFCMmall - purchase a beer from a 7-11 then hang out for a similar view. 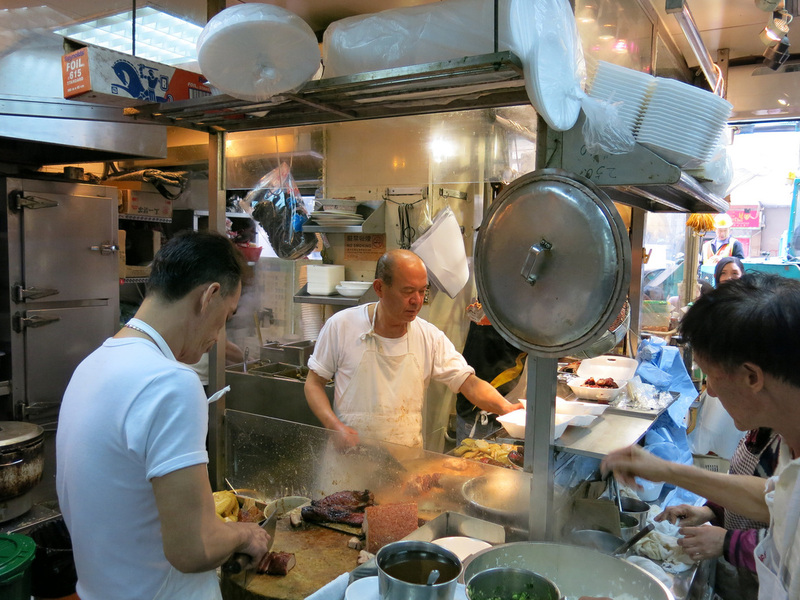 Bourdain covered the basics of Hong Kong. I think the only things we missed were the deserts, such as the Egg Waffle, and he did not emphasize any of Hong Kong's seasonal cuisine. 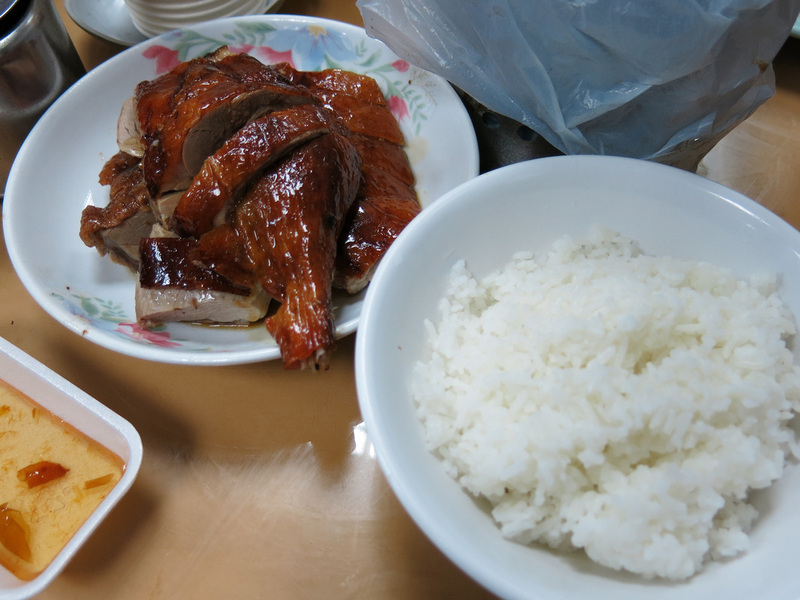 If you are in Hong Kong during the winter, clay pot rice becomes a must try meal. 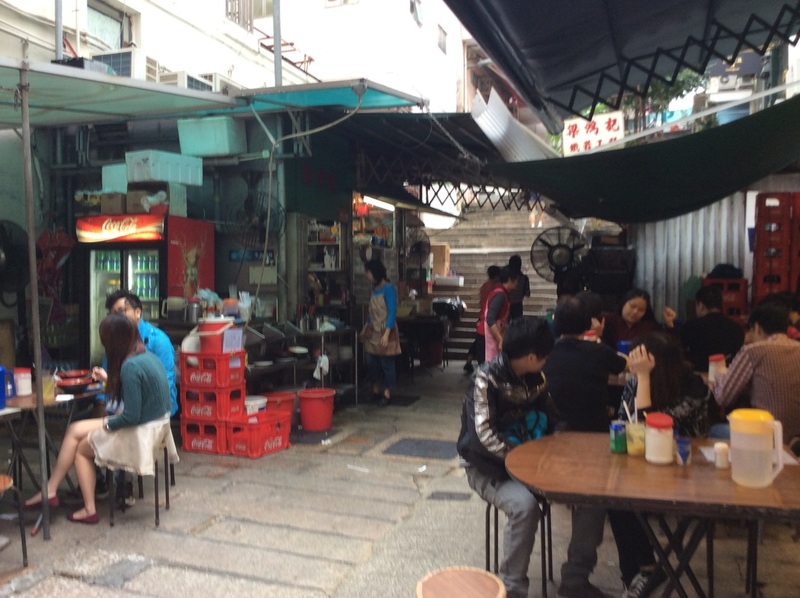 Hong Kong also has tea houses and markets that provide additional culinary type experiences. If you are planning to visit any of these places I can't stress enough that there are things to see in each of these areas. I think you are much better off exploring the area in one of these areas rather than racing off to the Giant Buddha or catching a tram to the Peak. Tough to avoid those places but for sure skip the Big Buddha. It may also surprise you that Hong Kong has a great natural environment to explore. You see the skyscrapers. You see the malls and all the crowds. You may not see the beaches. You may not see the hikes. I think the urban and nature blend of Hong Kong is what separates the city from Singapore, Tokyo, New York City, London, and Paris. Thanks for reading. Please click the links below for additional information on Hong Kong.